On your mark….get ready….”set-jet” to London! When you picture London, what images pop into your mind? Some may see Big Ben, Buckingham Palace, or the London Eye, but I’m willing to bet a good number of you immediately imagine gazing upon the elegant Crawley estate from PBS’s Downton Abbey, fantasize exploring the halls of Hogwarts Castle featured in the Harry Potter films, or perhaps walking along cobblestone roads following the path of Benedict Cumberbatch and Martin Freeman as the famous duo Sherlock Holmes and John Watson from BBC’s Sherlock. Great news! These are all experiences waiting for you in London, where film-induced tourism has risen in popularity as the city attracts movies and television as a prime filming and set location. There are many day tours and multi-day tours you can choose to participate in during your free time in London. If you are going a few days early on your own or have booked a pre or post-night(s) extension with AESU, read on and discover how you can walk in the footsteps of some of your favorite characters and find yourself in the middle of amazing places you’ve been wishing to visit while watching on the screen from your couch at home! 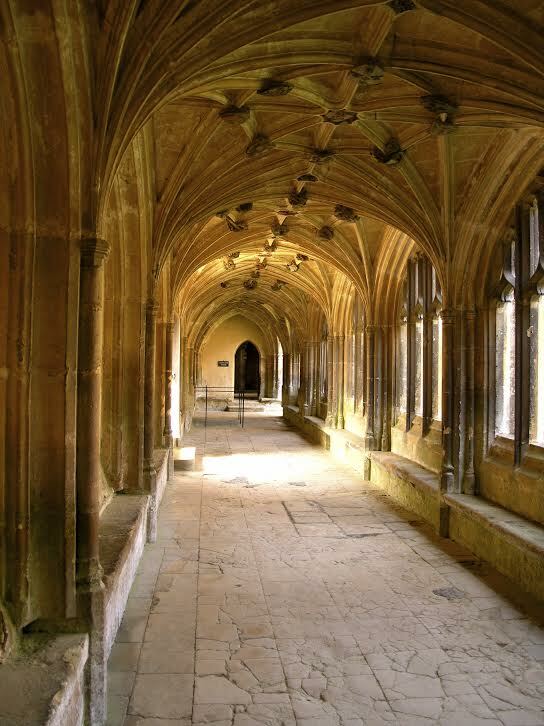 First and foremost, if you have the time and money (and secretly wish you had received an acceptance letter from Hogwarts rather than your boring Muggle university…) then you should definitely consider a Harry Potter tour. 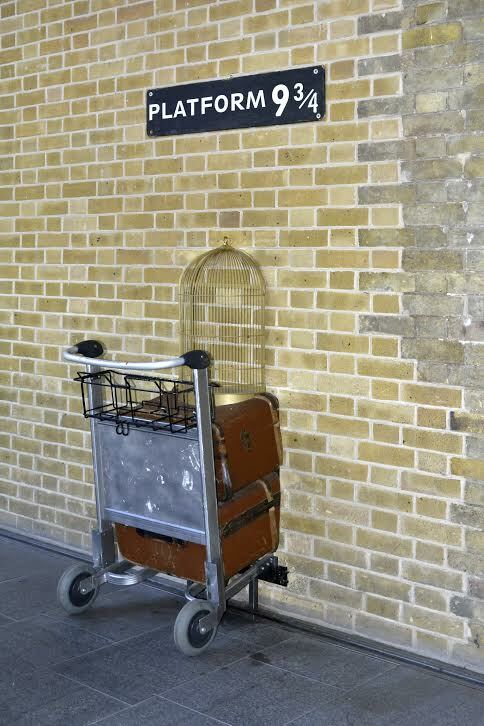 There are numerous tour options, whether you just want a day tour by bus that will take you to all of the iconic HP locations around the city (think Platform 9 ¾, secret entrance to the Ministry of Magic, exterior of Gringotts Bank, 12 Grimmauld Place, etc.) 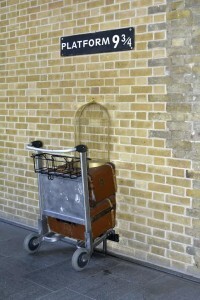 a studio tour and visit to Hogwarts (Alnwick Castle), or a full day of doing all of the above. (Side note: Studio tour tickets must be purchased in advance, so if you are going on your own and not with an organized day tour company make sure you go online and secure your tickets before you leave home!) The studio tour is a must- you will see everything from costumes, full sets from scenes in the films, and amazingly intricate models of buildings and Hogwarts Castle. You can even stand in front of a green screen on a broomstick and have a photo and/or video made of yourself playing Quidditch to take home! If you prefer to visit the Edwardian style castle where the fictional Crawley family resides in the PBS drama series Downton Abbey, take an excursion to its primary filming location, Highclere Castle. This is an exceptionally fascinating place to visit, as it is not only a main feature of the television show, but also a modern, working household of the Earl and Countess of Carnarvon, maintained by a large staff somewhat similar to the one featured in the Downton series. Highclere Castle has been the seat of the Earls of Carnarvon since 1679. In addition to viewing scenes straight out of Downton Abbey, you’ll also discover the real history of the property, which is equally as intriguing. In addition to the estate, there is an Egyptian antiquities exhibition on display in the castle cellar, comprised of artifacts collected by the 5th Earl of Carnarvon acquired during his travels to Egypt. Fun fact: Lord Carnarvon and his business partner Howard Carter actually commissioned the excavation of and discovered the tomb of King Tutankhamun! Visits open to the public are only available between 60-70 days a year, so be sure to do your research and plan ahead so you aren’t disappointed! If you want to get a glimpse of the location where the outdoor scenes are shot, afterwards make your way to the little village of Bampton for an afternoon tea break. Take a gander at the links below to find out more about all the places mentioned here, as well as a few additional spots. Cheers for now, off to London with you! This entry was posted on Thursday, May 15th, 2014	at 2:18 pm	. You can follow any responses to this entry through the RSS 2.0	feed. Both comments and pings are currently closed.